According to the St. Louis Cardinals website, tickets are $225 and $325 which includes cocktail party, dinner, 90 Minute Q&A session and autographed baseball. The $325 ticket is a VIP Experience which includes Intimate VIP Cocktail Reception, individual photo with Hall of Famers plus Premium seating for the 90 Minute Q&A session. Bob Gibson is a retired pitcher who played for the St. Louis Cardinals from 1959-1975. He is a nine-time All-Star plus two-time World Series Champion for 1964 and 1967. Gibson also is a two-time World Series MVP for 1964 and 1967 plus he was also named National League MVP for 1968. Gibson is a nine-time Gold Glove Award winner for 1965-1973 plus he is also a two-time National League Cy Young Award winner for 1968 and 1970. Bob Gibson was inducted into the Baseball Hall of Fame in 1981. PFP Sports Talent Agency is a top booking agent for motivational sports speakers and sports personalities. 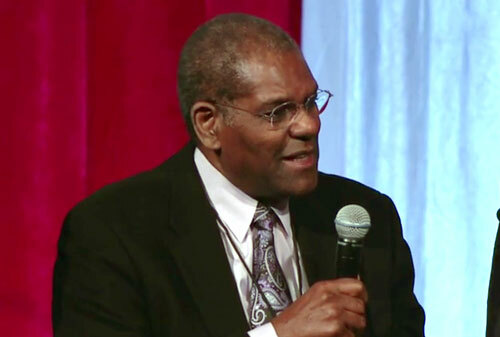 If you would like to book MLB stars like Bob Gibson for a speaking engagement, personal appearance or special event, you can request Bob Gibson agent and speaker information from PFP Sports Talent Agency or call 800.966.1380.